 JMD Ross has access to many kinds of insurance products and services. Please select from the options below that best suit your situation to learn more. Professional indemnity insurance (PI) is JMD Ross Professional Risks’ core business and its specialist team has many years of combined experience in advising clients across the globe. Directors and officers’ (D&O) liability insurance protects executives against personal liability and financial loss from wrongful acts committed, or allegedly committed, in their role as corporate officers. JMD Ross Professional Risks has partnered with underwriting agency London Australia Underwriting Pty Ltd to provide a comprehensive, competitively priced management liability solution, benchmark, for small-to-medium companies. JMD Ross Professional Risks specialises in arranging professional indemnity insurance for consulting engineers and architects.